Okay, there might never have really been pink triceratops, but there seems to be some unwritten rule somewhere that stuff for girls must contain pink somewhere. My own resentment of this aside, at least the T-rex is green and the stegosaurus is blue. 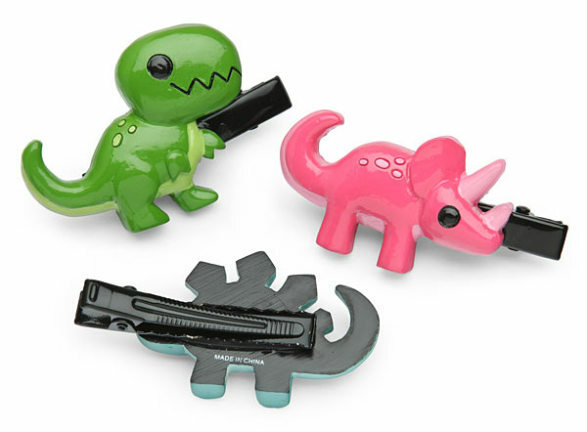 There are two of each of these dinosaurs in the set. They are perfect for keeping those unruly locks out of little faces. 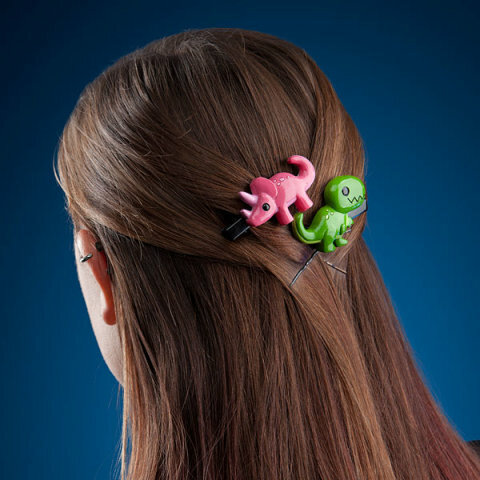 To order Dinosaur Hair Clips for your little girl, or even yourself (!?! ), click here. Rawr! Canned Dragon Meat -- Yum! Need A Break? Paws For Toast!